Hey friends! 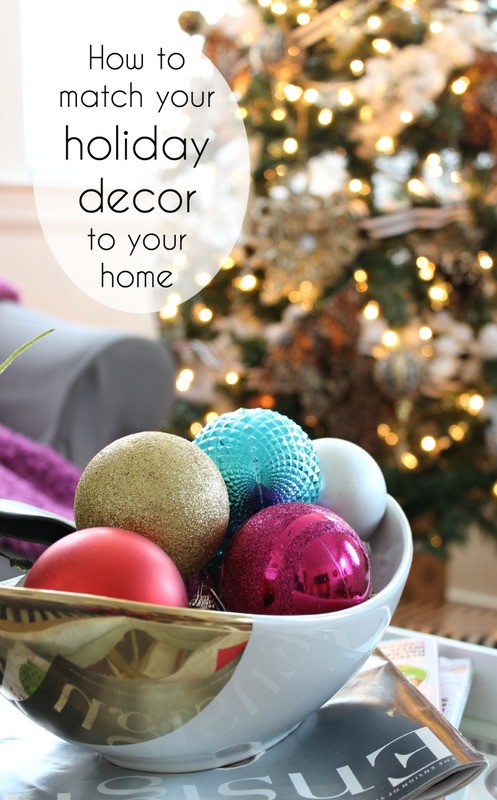 I thought I better get this post written so I can show you all my Christmas decor this year! It’s a little late in the season to decorate but oh well! I still wanna show you and hope you like it! 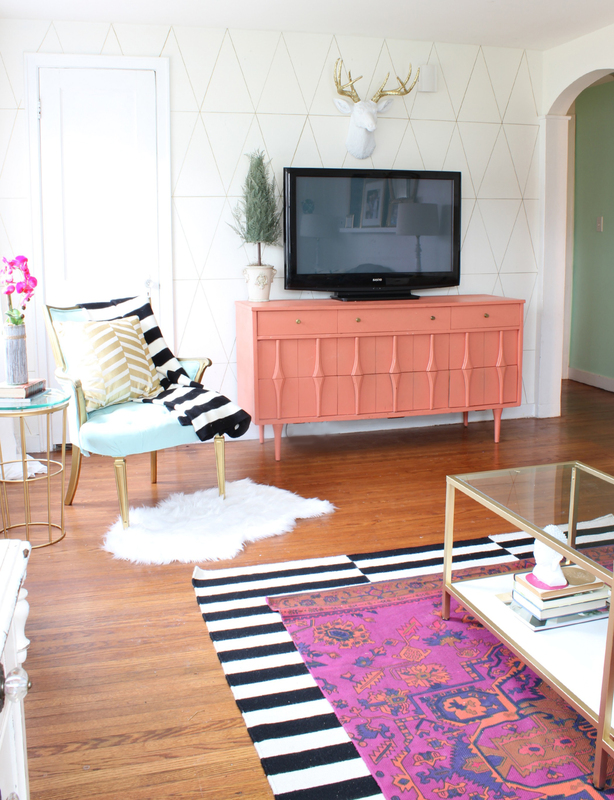 This year I wanted to match the decor to my living room that I recently did a makeover on. 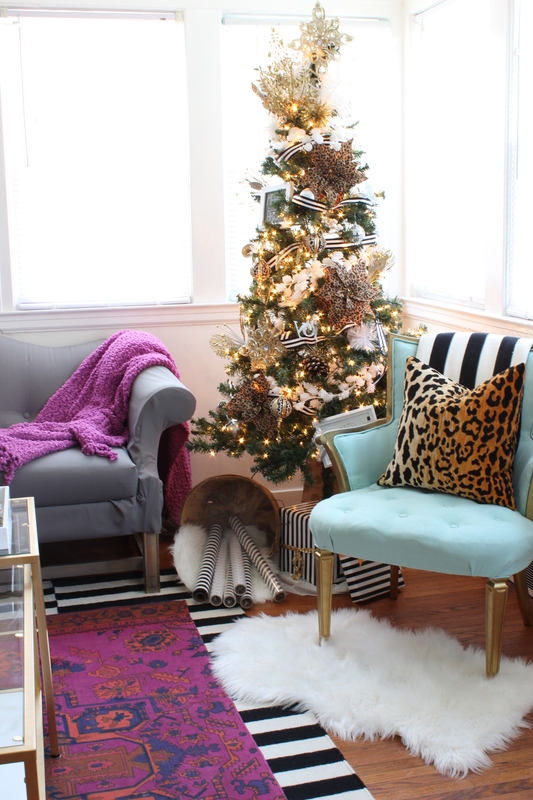 I added some bold jewel tones and wanted my Christmas decor to work in the space. I can’t handle colors clashing so this was my best option and I LOVE how it turned out! Just a little refresher, this is how my living room looks normally when it’s not the holiday season. Except throw the pillows on the floor and scatter a box of toys all over the place. I mean, that’s real life. I have 4 kids. Its like this maybe half the day, if I’m lucky. 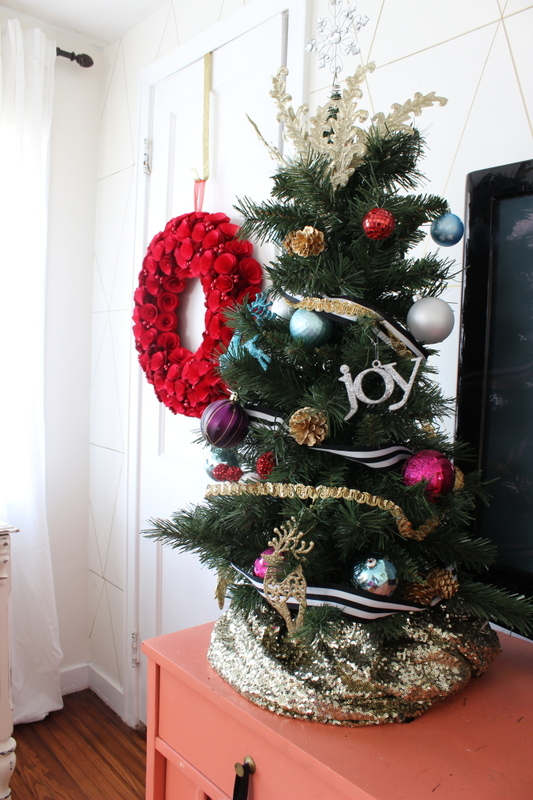 Anyway, I used the same colors to create a Christmasy feeling in the room without clashing it with my existing decor. First, “Buddy the Elf” was there on photo day and we aren’t allowed to touch Buddy so there he stayed for the photoshoot. I added a few berries to my succulents in my macramé planters. 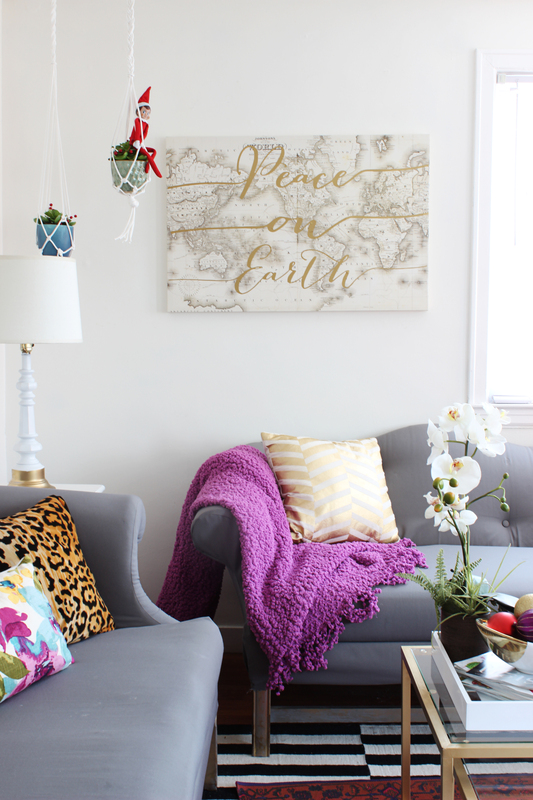 I had this world map canvas in the basement after I took down my gold gallery wall so I thought it would be fun to add it in to the decor. I made the Peace on Earth with my Silhouette machine and gold vinyl. I’ll be adding it to my shop soon if you’d like some vinyl for yourself. It would look awesome on a mirror, chalkboard, frame or the wall for Christmas time. 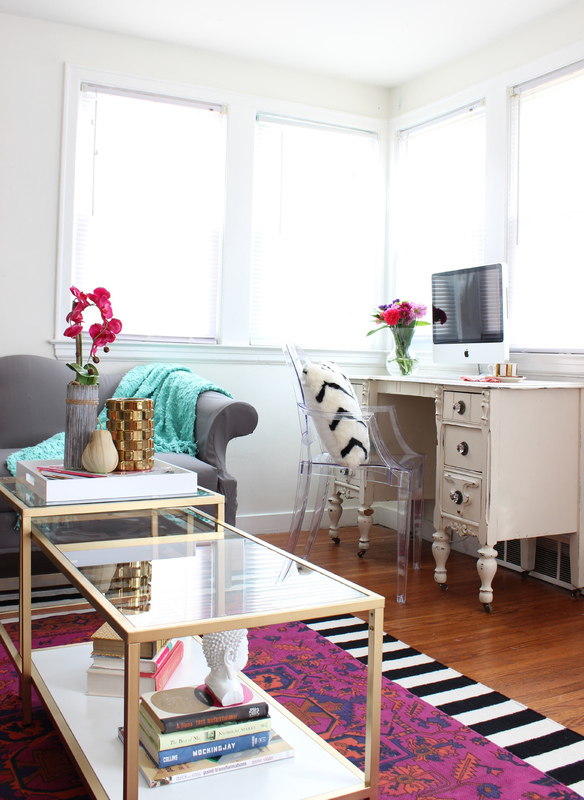 Super simple, super cute! My husband named the tree, Diva Christmas. 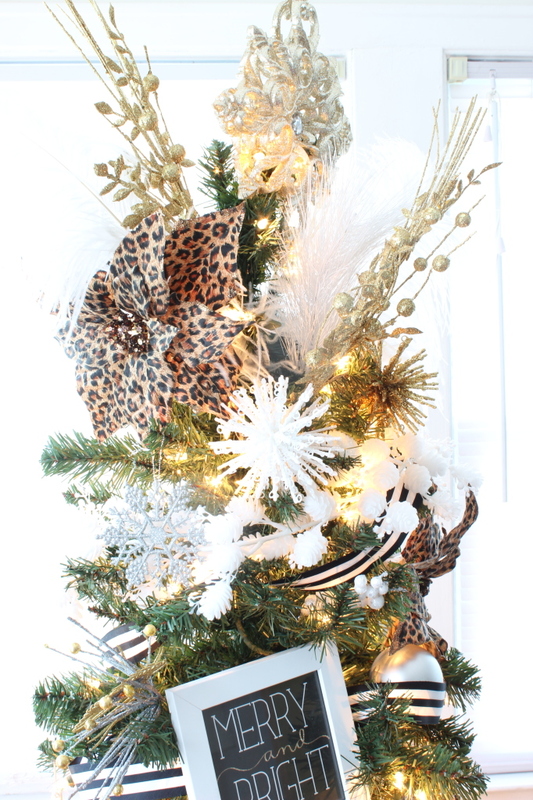 With the leopard print, black and white stripes, feathers and glitter, glitter, glitter, Diva Christmas seems appropriate. 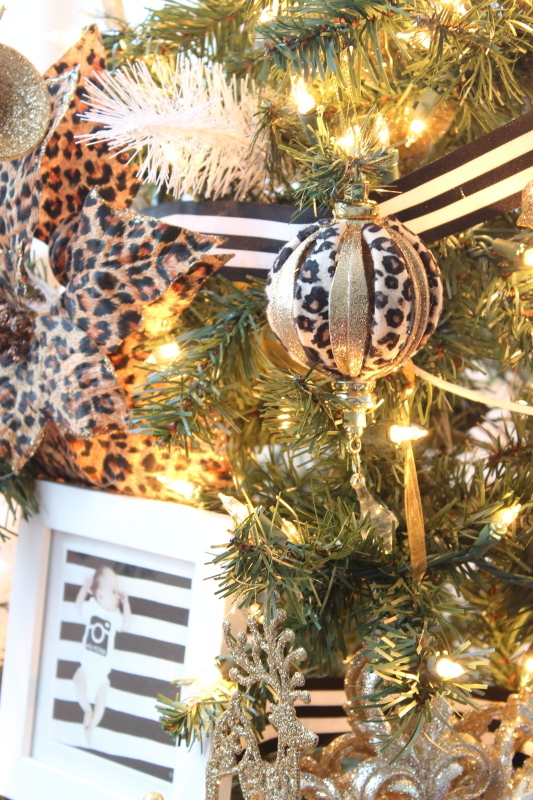 I used a few frames as the larger elements in the tree. 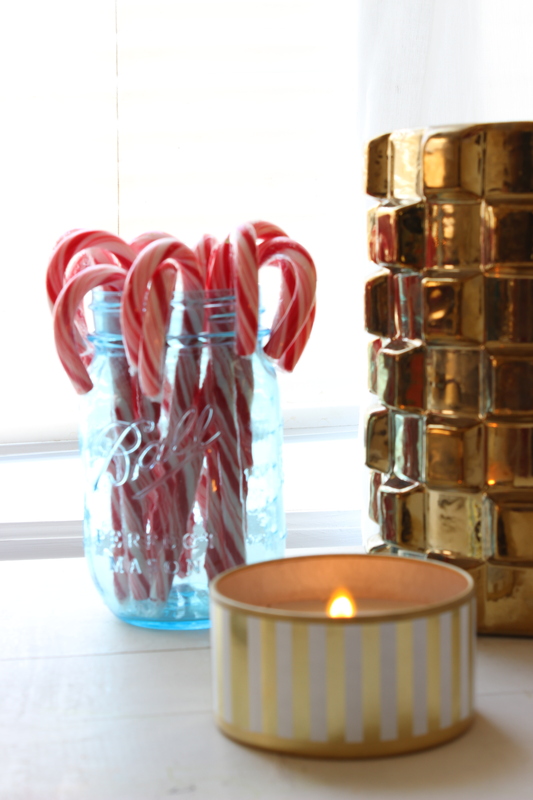 The Merry and Bright Printable is from our contributor, Courtney from Paperelli and it matches perfectly! I LOVE it! 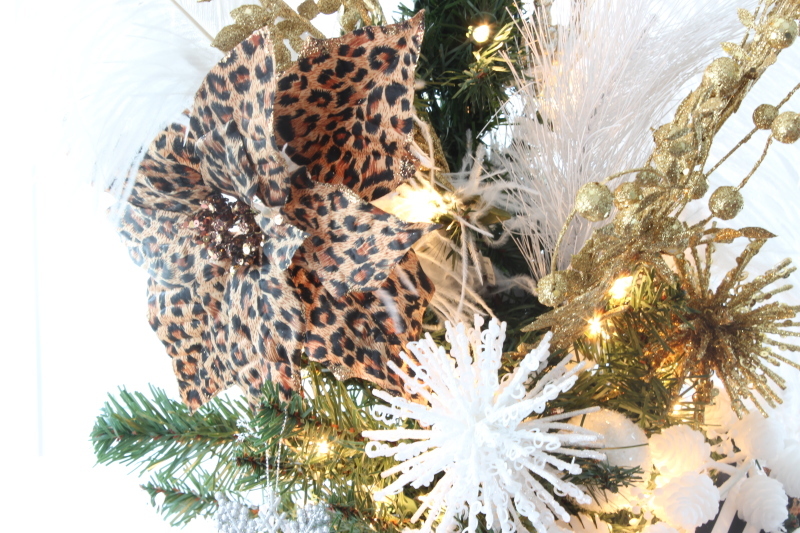 This leopard, gold and crystal ornament is my fave. You can also see my little Palmer nugget baby in that frame. 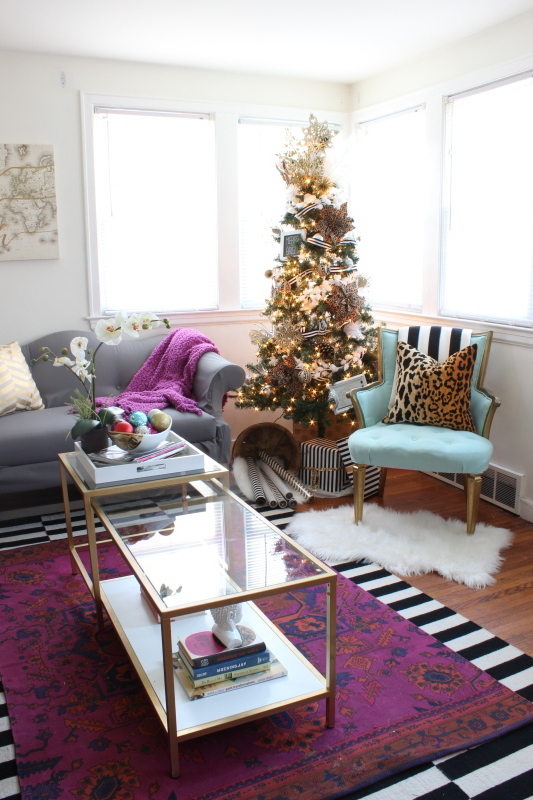 The little tree sits next to my TV and got bulbs and ornaments that matched the rug and pillows. The mini tree skirt may or may not be my actual skirt from Mindy Mae’s Market. I might steal it back if I wear it to church on Christmas week. I added the wreath on the coat closet, Santa and a teal mason jar full of candy canes next to my computer to make it more festive. Funny story, last year my kids got new stockings and before I even found out I was pregnant, I had a feeling I needed to buy an extra stocking at Target, so I did. This year, we added baby Palmer to the family and he has his own stocking. For the record, I always get a feeling I need to buy stuff at Target. 😉 Kidding! Kind of. 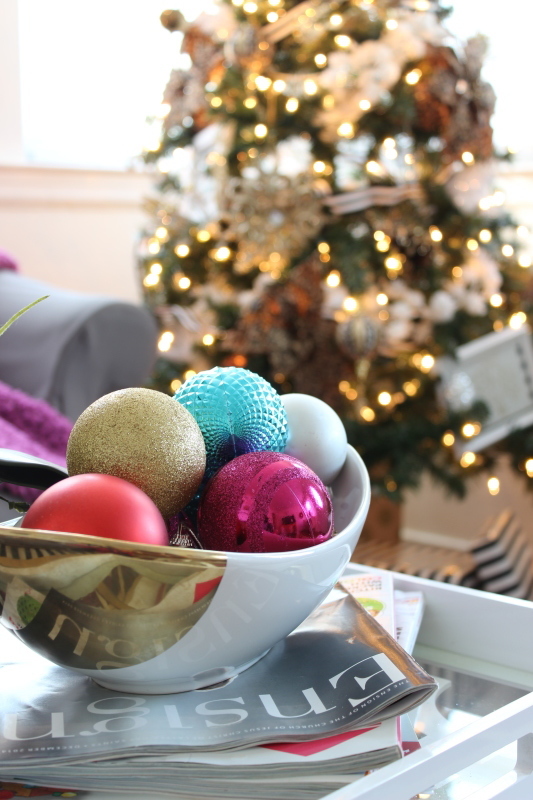 For an added touch, I filled this ceramic and gold bowl from Target full of colorful bulb ornaments. Let’s must say it’s a good thing they are plastic because Tanner thinks they’re balls. I kept it pretty simple this year and I’m glad I did. Hope you like it and hope you have a very Merry Christmas!